When the Italian Army received an updated model of its medium tank, designated M15/42, the German Army reaped the rewards. The Italians quit the Axis in September 1943 (only 82 had been delivered to the Italian Army before this date), and the German Army took control of 92 of the new tanks. Overall they still had many of the faults typical of Italian armoured fighting vehicles, but they did give the Germans some sorely needed fighting vehicles in the Italian theatre. 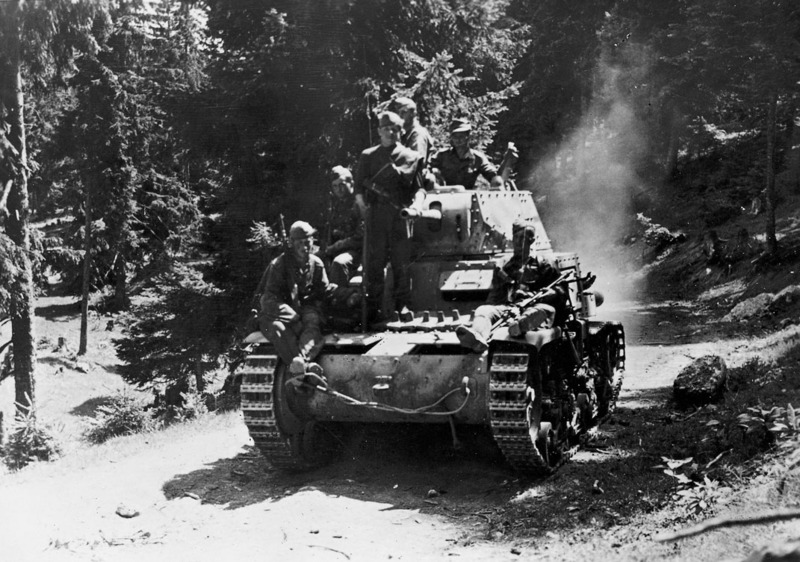 The Panzer M15/42 featured heavier frontal armour, a petrol-powered engine (there was a severe shortage of diesel in Italy at the time), and a longer gun. The hull length was increased to accommodate the petrol engine, while the suspension bogies were moved apart to handle the extra weight. The M15/42 was distinguished from the earlier M13/40 and M14/41 models by the location of the access door on the right-hand side of the superstructure. In German use the M15/42 was issued to three German Army panzer detachments and the 22nd SS Division Maria Theresia (formed from Hungarian volunteers in April 1944). Each vehicle carried 111 rounds for the tank’s 47mm KwK 47/40(i) L/40 gun, and by the end of 1944 there were still 68 Italian medium tanks in German service.